required to draw backgrounds or look for material photos. We offer backgrounds finalized with ink, spot-filled, and cleaned up. You can easily use them when you don’t have time or the personnel by simply pasting them as needed and cutting unnecessary parts. Available for use among coteries or for business purposes. Modification and use in illustrations and games are also allowed! The selling point is the high flexibility and that there are few restrictions on use. You can freely edit the background by transforming, reversing, scaling, modifying, and coloring depending on your purpose. Purchases are available 24 hours a day and you can download the product immediately after the purchase! If you pay by credit card, you can download the product right away. You can receive the necessary materials immediately after the purchase without waiting even when you are in a hurry. *If you pay by other methods, you can download the product after payment is confirmed. Available for use as many times as you like. Once the background is purchased, if you are the purchaser, you can use it any number of times! 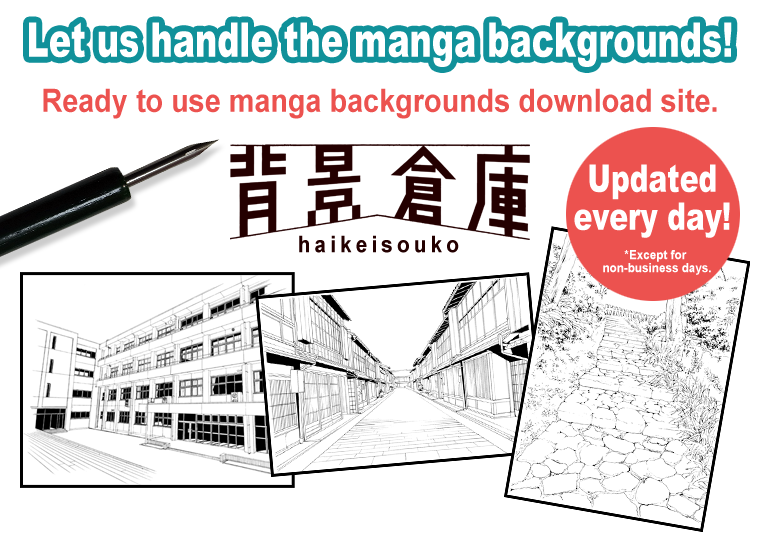 You can use it multiple times and are allowed to reuse it for other manga productions as well. All you have to do is to paste the background to fit characters and frames. a discount on all products you purchase. Just register as a shop member when shopping and you can purchase any product at 5% off from the next login! We recommend registering as a shop member if you shop with us! will help you save more! We also offer exclusive discount coupons(*)for newsletter members. You can use the coupons with the shop membership discount! Just register. *Issued on an irregular basis within the newsletter. We also provide some specific free backgrounds! You can, of course, use them for business or private purposes! Can I freely edit the product I purchased? Yes, you can freely edit, scale, reverse, cut, or modify the products you purchased depending on your purpose. Do you have restrictions on the period and number of product uses? Once the background is purchased, you can use it anytime and any number of times you like. If you are the purchaser, you can use it for multiple projects. Do you have test (sample) data? You can download a low-resolution version as a sample from the purchase page of each product.Right click the product thumbnail image and select Save Picture As. The sample can be used to check the layout or create rough sketches. You may use the sample for any purpose other than the above (such as actual production). What payment methods are available? 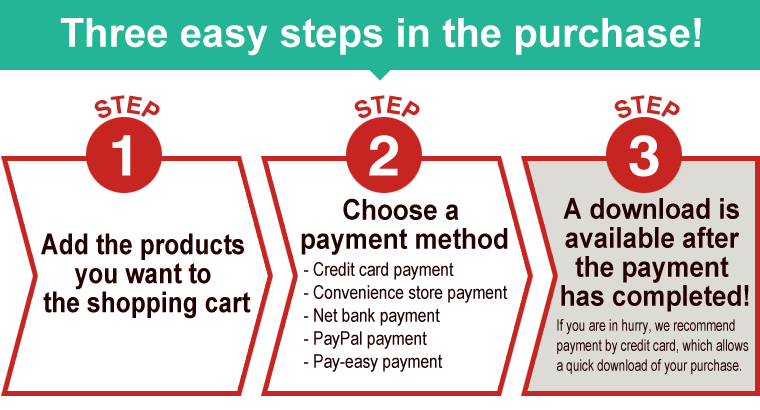 Credit card (Visa / MasterCard / JCB / AMEX / Diners), convenience store payment, net banking payment (Japan Net Bank/ Rakuten Bank), Pay-easy, and PayPal are available. >> See here (payment method) for more details.